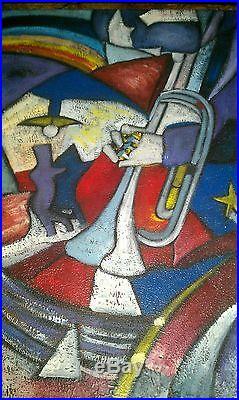 M HAROLD SIGNED ORIGINAL OIL ON CANVAS – 20 X 24 – PATRIOTIC. A very unique piece done by the well collected artist M Harold – Circa 1980’s. 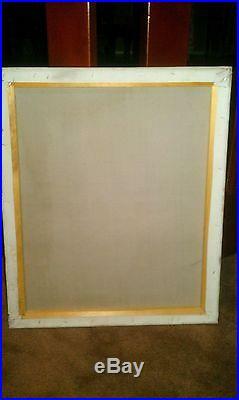 The artist has kept his/her identity concealed, but they are believed to be from Florida or New Orleans. The works from this particular artist have been found from coast to coast and as far away as England. A true one of a kind that is sure to be a conversation piece. Excellent condition with no damage. The item “M HAROLD SIGNED ORIGINAL OIL ON CANVAS 20 X 24 FINE ART MODERNISM” is in sale since Tuesday, March 14, 2017. 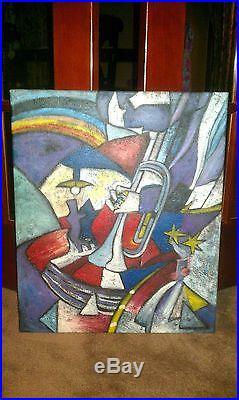 This item is in the category “Art\Art from Dealers & Resellers\Paintings”. The seller is “cristock” and is located in Utica, Michigan. This item can be shipped to United States.